Both KL Rahul and Vijay Shankar got the nod in the team for the quadrennial show-piece event. There were no big surprises in the team announced by the Indian selection committee led by MSK Prasad. Mumbai: India announced their 15-member squad for World Cup 2019 in Mumbai on Monday. 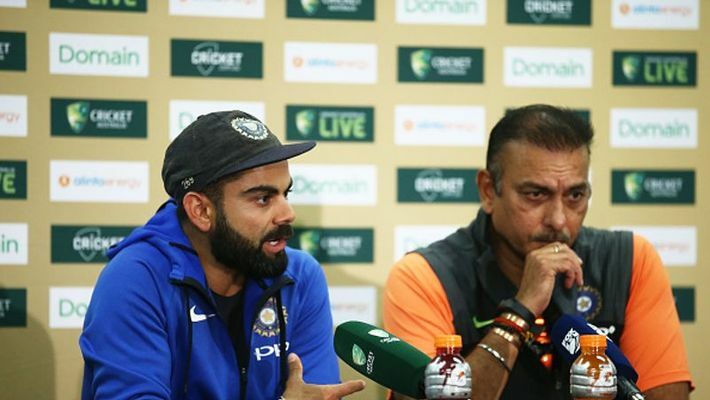 The big inclusion in the Virat Kohli led was that of Dinesh Karthik as the back-up wicketkeeper in place of Rishabh Pant. Rohit Sharma and Shikhar Dhawan have been chosen as the regular openers, while MS Dhoni will be India's frontline wicketkeeper-batsman in what is certain to be his last World Cup. Bhuvaneshwar Kumar found a place in the squad while Umesh Yadav missed out. Jasprit Bumrah and Mohammed Shami will be the other two pacers in the line-up. Hardik Pandya, Vijay Shankar, Kedar Jadhav are the three allrounders, while Ravindra Jadeja got the nod as the spinner alongside Yuzvendra Chahal and Kuldeep Yadav. MyNation had predicted the Indian squad for the World Cup pretty accurately. The World Cup would take place in England from May 30 to July 14. India open the campaign against South Africa on June 5 at Rose Bowl, Southampton. They are to play their arch rival Pakistan on June 16 at Old Trafford, Manchester.